Kale chips, not just for health nuts. Do you like Kale chips? Have you even tried them? Recently I have been trying to eat a little healthier. Don’t worry, I am not turning into some crazy health nut. I recently discovered kale. Until about six or seven month ago, I had never eaten kale. Now, my kids can not get enough of it. 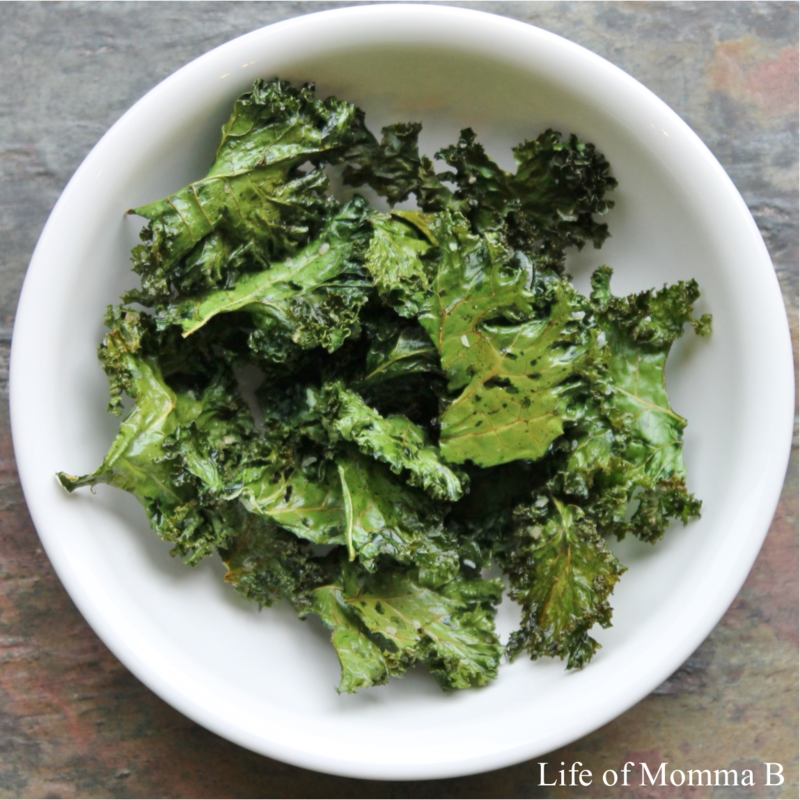 Our favorite, and the only way I’ve really tried it, it baked into kale chips. When baked in the oven for about 20 minutes they lose their bitterness and create a wonderfully salty snack with a unique texture. And they contain tons of nutrients. Kale chips are super easy to make. I usually make a double batch, for they keep (not that they last long around my house). Begin with 8 ounces of fresh kale. Remove stems and cut into large pieces. Wash and dry each piece (a salad spinner works great). Toss the pieces with 2 teaspoons of olive oil and 1 teaspoon of Kosher salt. Spread onto two large cookie sheets, making sure the pieces to not overlap. Bake in a 300 degree oven for 15 – 20 minutes, rotating the pans every 5 minutes. After the chips have cooled store in an air tight container. We also like to use Zatarain’s Creole Seasoning in place of the salt sometimes for a slightly spicy treat. This entry was posted in Recipes and tagged appetizer, gluten free, Kale, sides. Bookmark the permalink.